For the past 20 years we have featured mopar related cars and trucks submitted by our visitors. This section is a guide to help provide our visitors with resources on viewing or submitting a mopar related vehicle to be published on our network. Our network is one of the internets oldest and largest resources devoted to classic and modern vehicles built by Chrysler. Our archives contain thousands of featured rides from the time we started to last month. We also offer free screensavers and desktop wallpaper featuring mopars submitted to us. Mopar Car Of The Month - 1971 Plymouth Roadrunner. 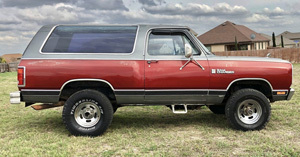 Mopar Truck Of The Month - 1981 Dodge Ram Charger. 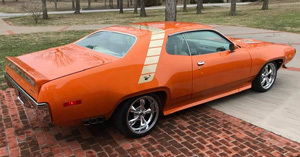 To check out the complete collection of Mopars submitted for April 2019, visit the Mopars Of The Month site.